Home › FAQ › How Can You Specialize a Web Developer Degree? If you’re enrolled in a computer science or Web design program, you’re probably wondering how to specialize a Web developer degree, and to do so requires enrolling in graduate school. Web design is an area of computer science that offers opportunities at every level, from the associate’s degree level to the Ph.D. With only an associate’s degree, you can do simple Web and mobile programming, as well as visual and user experience design, but to do more advanced software engineering, you need at least a bachelor’s degree. The Web is the source of most jobs in computer science, because most users are migrating from desktop applications to cloud-based and mobile apps. There are also many jobs in areas such as health care and enterprise computing, but pretty soon, these jobs are going to require intermediate to advanced Web programming skills as well. Most universities offer Web and mobile specializations for their computer science master’s programs, and you just have to declare your degree focus at enrollment to start taking these classes. When you focus on Web and mobile software development, you take yourself in a practical direction that involves a lot of coding and software design, as opposed to the research and academic work involved in other disciplines, such as algorithm theory or artificial intelligence. If you’re the type of programmer who loves building apps and designing software, you’ll enjoy choosing a Web-design focus for your master’s degree. With this education, you’ll be able to do advanced software engineering for applications that run over a network and connect users together over the Internet. Within your specialization, you can follow areas of interest such as networking, graphics programming or data mining, and when you graduate, you’ll be qualified to do virtually any programming job in the Web development industry, according to US News and World Report. The types of companies that hire Web developers with master’s degrees include Microsoft, Google, Apple and other big-name software makers, although you will probably have to live in California to work for one of these famous companies. It’s not really possible to specialize a bachelor’s degree, although if you’re an undergraduate interested in Web development, you should definitely get a degree in computer science rather than Web design. An associate’s degree in Web design is a good degree, because it only takes two years and prepares you to do most simple Web programming jobs, but a bachelor’s degree in Web design is not a good idea. It doesn’t give you any more opportunities than an associate’s degree, but it takes two years longer to complete and costs around twice as much. Employers view bachelor’s degrees in Web design the same way they view associate’s degrees in Web design, but they value bachelor’s degrees in computer science much more, because these science-based degrees cover a lot more math and programming theory. Bachelor’s degrees in computer science are not as difficult as master’s degrees, and this rule applies to Web and mobile development specializations as well. Professors tend to be a lot harder on graduate students than they are on undergraduates. 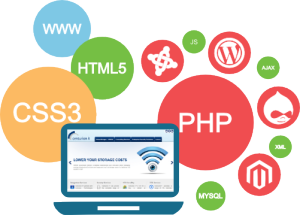 Web development is one of the leading industries in the economy, and there are always jobs available for people with specialized skills. If you have a graduate-level interest in software design and theory, you should consider how to specialize a Web developer degree.